Ahhhh! Watch out for the funny faced monsters "flying" through the air! 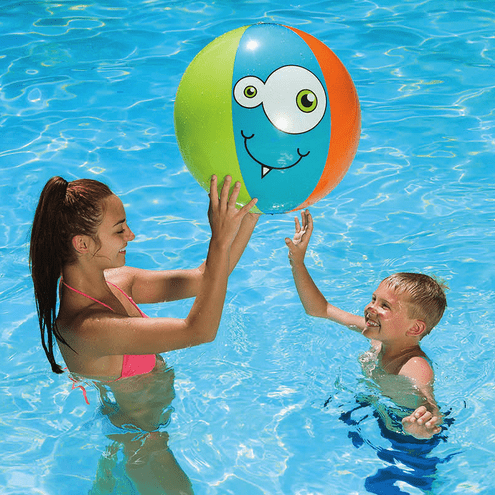 These monster beach balls are sure to bring some fun to your backyard activities. There are 3 fun faces on one ball!